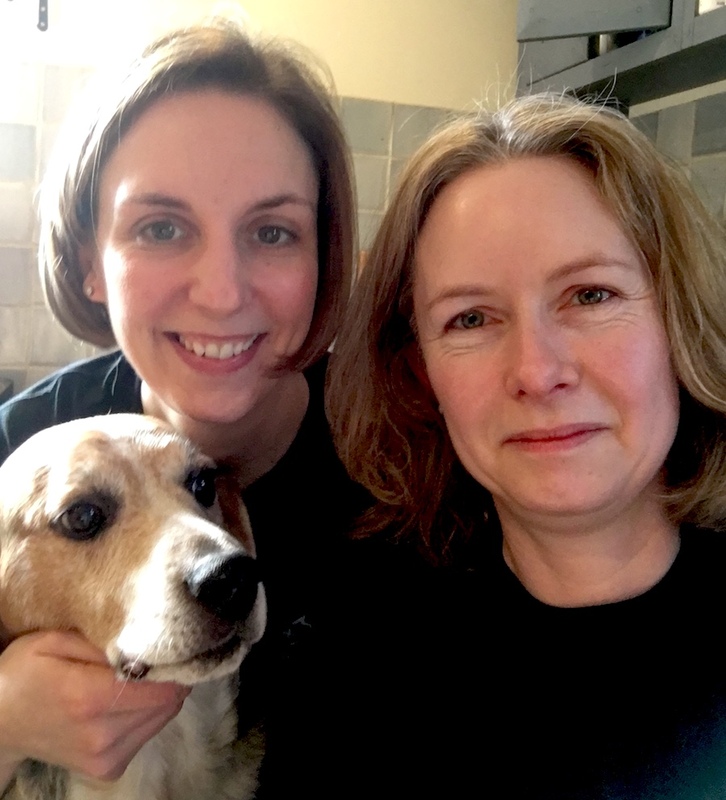 We are Amanda and Jo, 2 small animal vet colleagues based in Cambridgeshire. 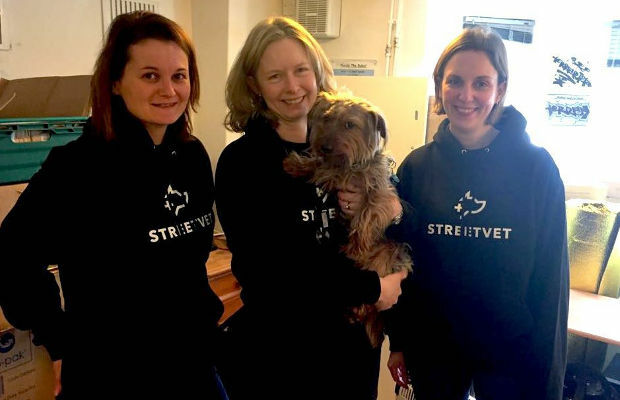 After seeing Jade in the Veterinary Times and learning about the work StreetVet was doing in London we thought it would be great to be able to provide the same service and care for the homeless we have seen on the streets of Cambridge. One evening before Christmas we set out with a voluntary outreach group called Caring for Cambridgeshires homeless, armed with our stethoscopes and bags of dog supplies. The homeless we met were very grateful for the opportunity for their dog to have a health check and free advice and we were able to give out leads, collars, coats, food and treats to the dogs we met. With the support of Jade, Sam and Gabe we set about starting up StreetVet Cambridge! We have now received our rucksack of medical supplies and have set up regular sessions at Wintercomfort, a day centre for the homeless in Cambridge and we will continue doing outreach work alongside Caring for Cambridgeshires homeless. We are in the process of arranging sessions at Jimmy’s Shelter too. We have been overwhelmed by the response and generosity of the public to the Christmas shoe box appeal and to our amazon Wishlist. 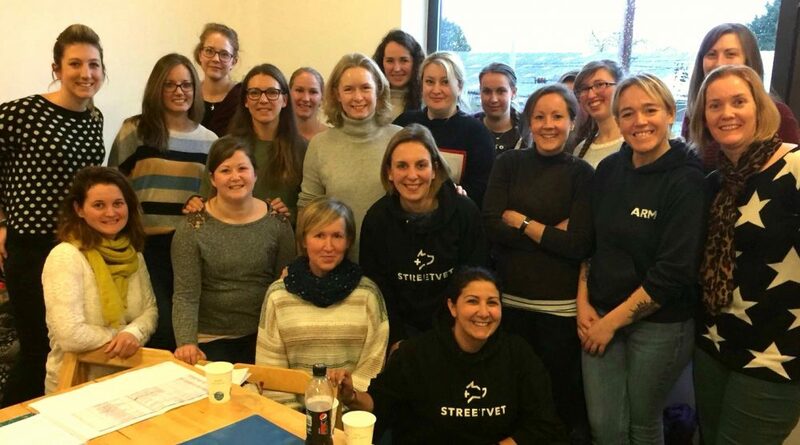 Our enthusiastic and growing team of volunteer vets and nurses are raring to go! Streetvets Jess, Jo and Amanda ( from left to right) with our first registered patient Benji at Winter Comfort Cambridge. Given flea and wormer treatment and some treats and a kong! 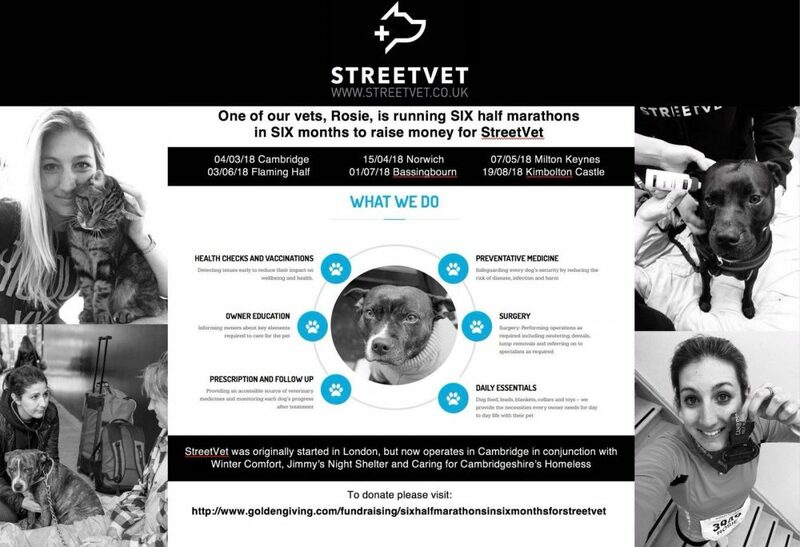 Rosie one of our volunteers is doing 6 half marathons in 6 months to raise money for StreetVet. I have been working as a small animal vet in Cambridgeshire for the last 15 years. Seeing the increasing numbers of homeless people and their dogs in Cambridge and having a little bit of spare time when my youngest child started school I really wanted to help in any way I could . 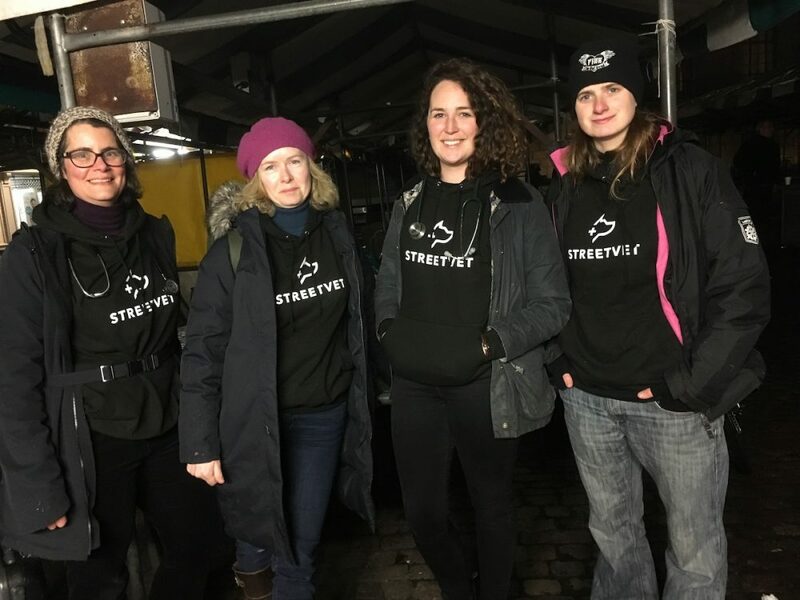 After meeting and being inspired by Jade and Sam and what they had achieved I joined with other local volunteers to set up StreetVet in Cambridge . I am really excited to be part of this amazing team and using my veterinary skills to help. I have worked as a small animal vet for the last 20 years both in practice and more recently in a charity shelter. I have seen first hand how important the bond can be between owner and dog and am dismayed at how often people have to choose between a roof over their head or their canine companion. (Much rented accommodation in the UK doesn’t allow pets). I feel privileged to be able use my skills and qualifications to help those homeless on the streets who would not have the finances to access private Veterinary care for their much loved pet. I have 3 dogs of my own including 2 rescue dogs and can’t imagine being forced into a position where I would have to give them up. I have been involved in helping to set up StreetVet Cambridge and am looking forward to making a difference. Myfanwy works at the University of Cambridge where she works as a scientist researching human brain diseases and works as a vet in her (rare moments of) spare time. Living in a relatively small city like Cambridge means that you develop a much more personal relationship with the homeless community as you see the same faces so regularly, Myfanwy is really excited to be able to finally put her veterinary skills to use in her local community and to help those who need it most.